Northern Advertising Neon LLC still has the capacity to do multiple runs of wholesale neon; channel letters, exposed, and neon window and wall signs. We can deliver. Sign Companies - when you are giving the customers lighting choices, consider neon for its brightness, durability, reliability, and energy efficiency. Neon is 99.9% recyclable. 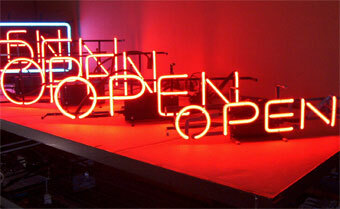 Have a look at our latest stock neon sign catalog. Do you have a sign you’d like repaired, or a tube that needs to be replaced? Contact us, and we can help you! Email or call us with your ideas and we can provide you with a price. 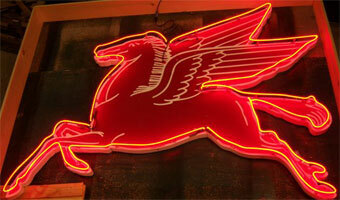 Northern Advertising’s passion is to continue to provide neon in the USA. 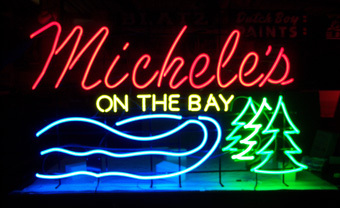 We have decades of experience in genuine neon craftsmanship and we want to keep nostalgic neon lighting alive! 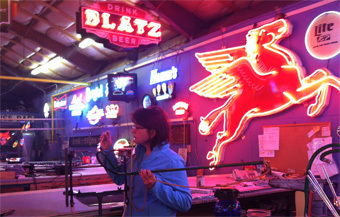 Recent changes in the lighting industry have altered the demand for neon. We understand that change is good! We are rolling with the changes and plan to continue to manufacture neon lighting for personal and business use. Neon will continue to hold a place in the lighting industry. Northern is committed to manufacturing this time-proven craft with quality material and workmanship. Our experienced neon glass benders and pumping operators, along with state of the art pumping systems ensure that our customers receive the highest quality signs and service.